Fox’s claim of an imaginary enemy alliance relies on two sources: the University of Miami’s Institute for Cuban and Cuban-American Studies and an anonymous U.S. official. The supposed U.S. official – who Fox grants anonymity to without giving a reason why – related “evidence” from “intelligence reports” that Cuban troops “may” have trained in Russia and “may have” come to Syria in Russian planes. Sounds legit. Despite the thinness of the report’s sourcing and the improbability of its content, other news organizations were quick to parrot its claims. Spanish newspaper ABC noted the next day that media from Germany to Argentina to the Middle East had echoed the Fox News report, while ABC did the same themselves. In reality, Obama’s “gesture of goodwill” is little more than behaving less overtly hostile after decades of American aggression against Cuba and Iran. If you are choking someone unprovoked and you loosen you’re grip, it is far from a gesture of goodwill. Bloodworth also tries to make a historical argument that Cuba’s (imaginary) military actions in Syria are consistent with their “bloody” interventions elsewhere. He decries “Cuban terror in Ethiopia” that resulted in hundreds of thousands of people being killed. In 1977, Somalia had invaded Ethiopia in an attack that “had been encouraged by ambivalent signals from Washington,” according to historian Piero Gleijeses in his book Visions of Freedom. Initially reluctant to become involved, Fidel Castro finally agreed to Ethiopian requests to send troops to repel the Somali invasion. In addition to correcting the record on Ethiopia, Gleijeses’ study also serves to set the record straight on Cuba’s historical modus operandi in its military interventions abroad. Cuba did maintain a large military presence in Angola for nearly 15 years, starting in 1975. Castro first sent troops in November 1975 after Angolan President Agostinho Neto warned of a South African invasion of the country already underway which would inevitably topple the nascent government without outside support. Cuba agreed to send soldiers to Angola right away. Several months later, they would repel the apartheid army back to Pretoria. They remained in Angola at Neto’s bequest to prevent further incursions from the racist South African army into the country’s sovereign territory. At the same time, there was an ongoing civil war between Neto’s MPLA, the largest and most popular of the guerilla groups, and the South African and American-backed UNITA guerillas led by former Portuguese collaborator Jonas Savimbi. 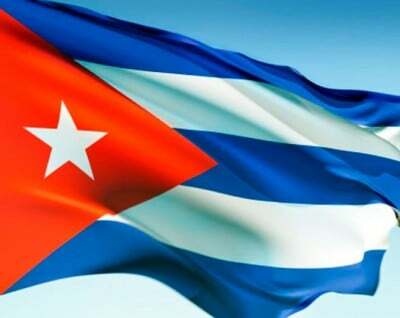 Cuba’s position during the Angolan conflict is consistent with the diplomatic approach they have repeatedly espoused in Syria, that the Syrian conflict is a domestic problem for the Syrian people and government to resolve themselves, while the international community works to achieve a peaceful solution. That the Fox News could cause such a stir is a testament to the refusal of mainstream news organizations to verify sources. In all of the iterations of the “Cuban troops in Syria” fantasy, there are no new sources cited. The original Fox News report cites one anonymous U.S. official who may, or may not, even exist. The only source on record with their incredulous claims is someone from the Institute for Cuban and Cuban-American Studies (ICCAS) at the University of Miami. ICCAS is notorious for its reactionary, anti-Communist politics revered among the fanatically right-wing Cuban and Cuban-American population in Miami. Their academic research includes a conspiracy theory that appears to implicate Fidel Castro in the assassination of John F. Kennedy. Another ICCAS report claims “the often-repeated view in many countries that the United States is an evil power, guilty for much of the problems and sufferings of the developing world, is owed in great part to the propaganda efforts of Fidel Castro” – not, rather, to decades of direct U.S. military intervention; profligate support to fascist military dictatorships; and predatory, neo-colonial lending policies that demand neoliberal structural adjustment programs which funnel public assets and resources to creditor interests, at the expense of the employment, health and well-being of the vast majority of local populations. ICCAS is also home to the Cuba Transition Project whose mission is “to study and make recommendations for the reconstruction of Cuba once the post-Castro transition begins in earnest.” CTP acknowledges on its Web site that “the project was established in 2002 and supported by grants from the U.S. Agency for International Development (USAID) until 2010.” It’s funding indicates it is at least indirectly an arm of the U.S. government’s destabilization and subversion efforts dedicated to regime change of the politically and economically independent Cuban government. Cuban Prensa Latina reporter in Syria Miguel Fernández noted that ICCAS has reported six or seven times since 2006 that Fidel Castro has died. He suggested reports such as those originating with ICCAS about Cuban troops in Syria were part of the campaigns of reactionary groups opposed to normalization to tarnish the new relations between Cuba and the United States. Despite claims of Cuban troops in Syria contradicting Cuba’s stated policy and historical modus operandi, and the fact that now four days have passed without a single piece of corroborating evidence to the laughable Fox News report, the imaginary Cuban troops in Syria are likely to morph into more outrageous fantasies of media who have shown themselves primarily interested in fabricating tales of intrigue about America’s evil enemies rather than reporting actual verifiable facts. Gleijeses, Piero. Visions of Freedom: Havana, Washington, Pretoria, and the Struggle for Southern Africa, 1976-1991. The University of North Carolina Press, 2013. Kindle edition.